If you have a website for your company, you are already at an advantage. The internet is when of the greatest ways to get your brand noticed and having a top-notch website makes things easier. However, if you have an outdated website or you don’t have a website at all you could be losing out on a vast number of potential customers. An out of date website is detrimental because you are losing traffic in regards to mobile devices. Today you need to have a responsive website that shows up clearly and is easy to use on all platforms. Here at Design & Promote, we are a Warrenville website design company that can give your website the upgrade it needs. For more information on our website design services or if you have any questions about our other services such as SEO or PPC, call us today at 630.995.7109. You can also fill out the contact form located on this page and one of our website design experts will get back to you shortly. 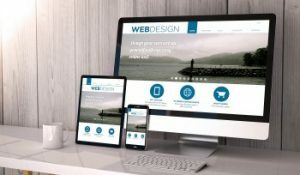 For over 10 years, our website design experts at Design & Promote have been creating innovative websites that are fully responsive, easy to navigate, and most important, user friendly. We work with you to understand your ideas and vision for your website and how we can incorporate those ideas into reality. We are sure to include compelling calls to action that users will notice and they will be sure to have a smooth, seamless, and satisfying experience. The websites we design are not just to look pretty, they are built with lead generation in mind to help drive traffic to your site and turn that traffic into conversions. If you are in need of a professional Warrenville Website Design Company or if you have any questions about our other services, call us at 630.995.7109 today. Or you can fill out the contact form on this page and we will respond shortly.